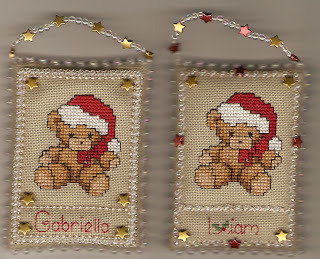 Love and Joy Ornament JBW Designs JCS 2011 Christmas Ornament Issue 32 ct Antique White Belfast Linen, WDW Floss Stitched one over one by Carol S.
The little bears are from Dale Burdett's 'A Mini Christmas' DB132 (1990). 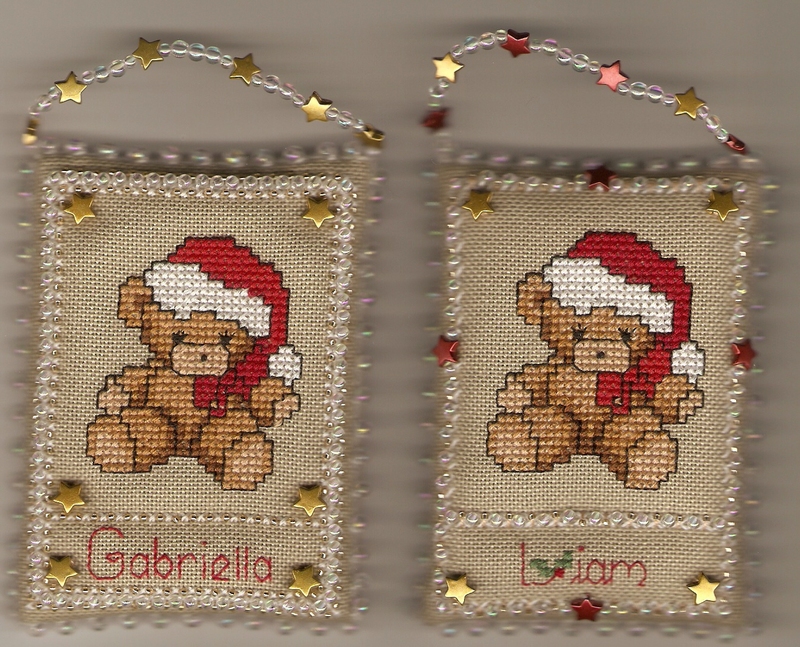 They are stitched over 2 on evenweave. 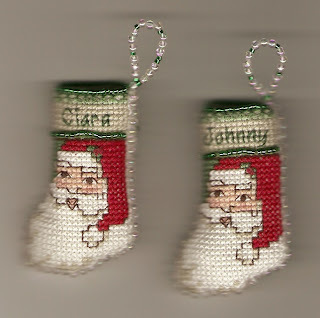 Must "Bee" Christmas Ornament Diana Owensby - chart available here- scroll down Stitched by Carol S.
These tiny stockings are real little stockings, and are stitched on 24 count linen over 2. 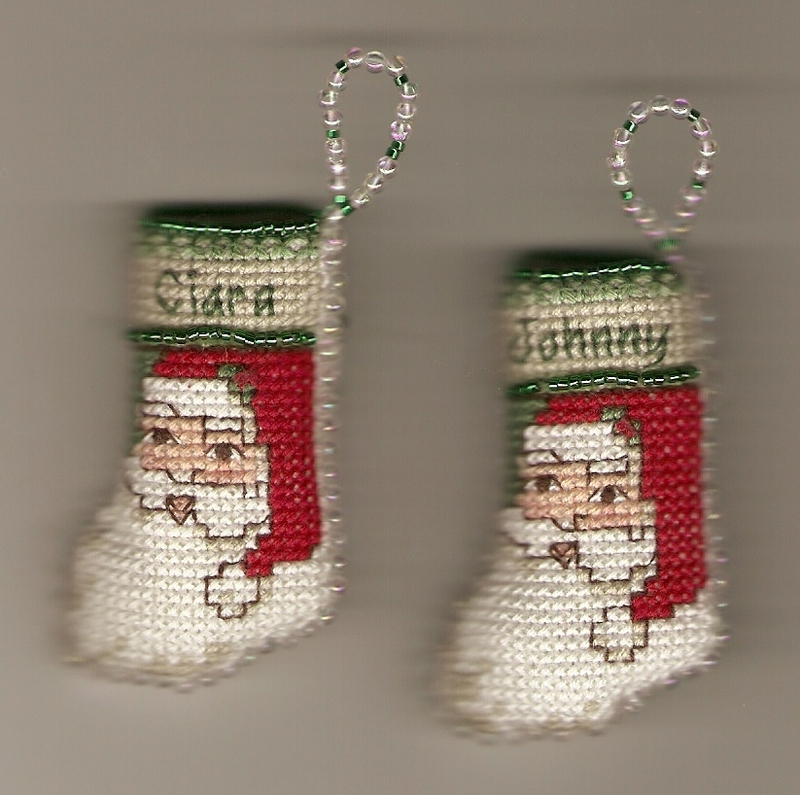 They measure 2.5 cm (1") wide at the cuff, and 6cm (2.5") long. 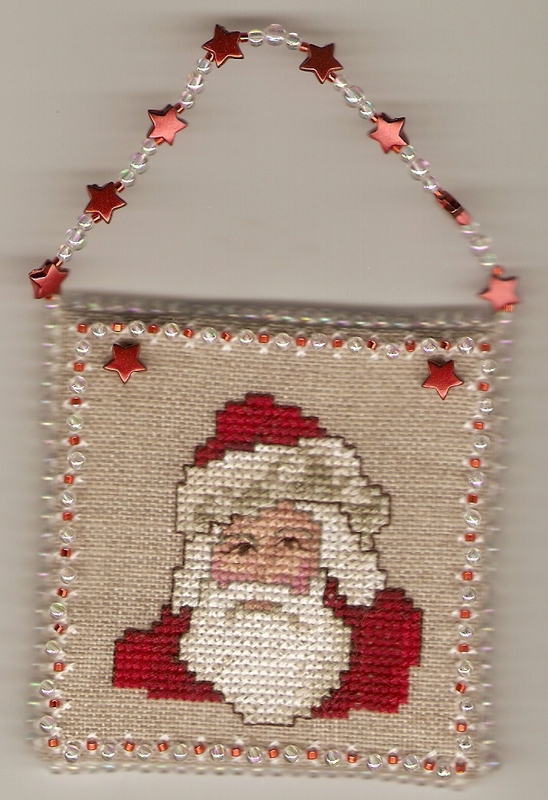 I adapted the design from Kooler Design Studios Littlest Stocking #7 (in LA's Christmas Ornaments #3428, 2003). 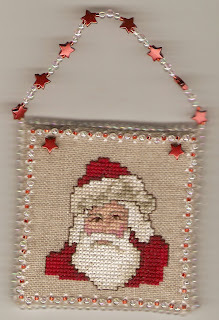 Peace Ornament Blackbird Designs JCS 2009 Christmas Ornament Issue 32 ct Antique Almond Belfast Linen, WDW, GAST and CC Floss Stitched by Carol S.
Labels: 2009 JCS Christmas Ornament Issue, Blackbird Designs, Carol S.
The Santa design is from The Faces of Santa Afghan chart in LA's Christmas Keepsakes hardcover book (1990), the second book in the Christmas Remembered series. Although the designer is not directly credited, I believe it to be Carol Emmer.